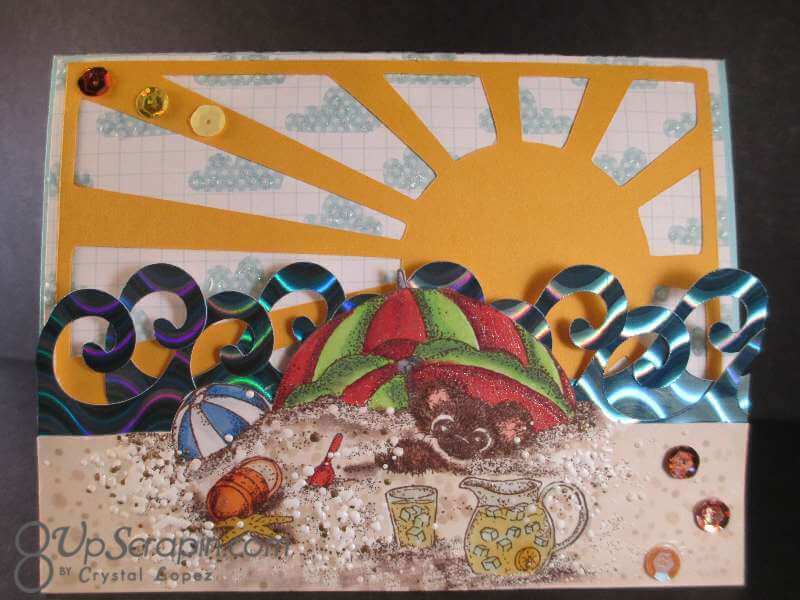 It’s Crystal here with another Shy Bear birthday card using one of the Shy Bears from the Plate #6 set , this bear is in the sand under an umbrella , what a fun stamp image and I loved creating this card with it. 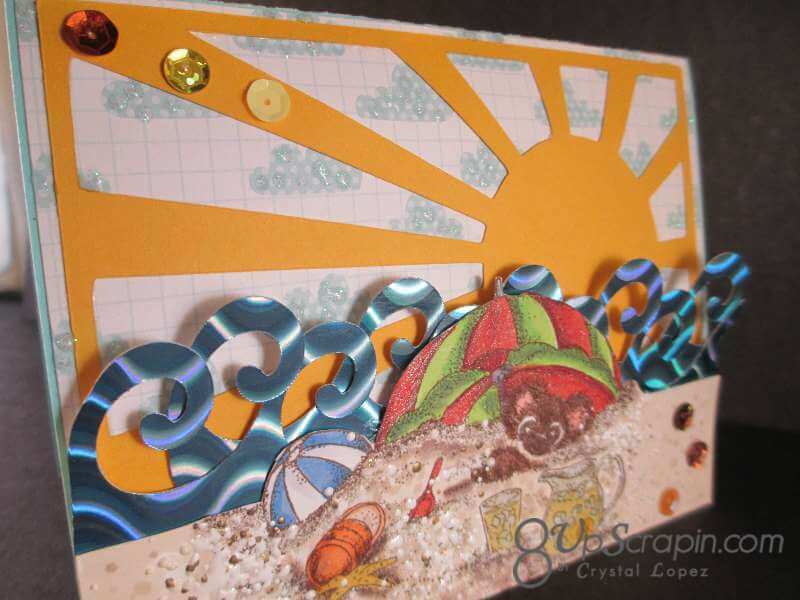 the sun ray is a cricut cut from Close To My Heart Artbooking cartridge , the waves are die cut from prismatic paper to make the come to life , my cloud paper is from Lawn Fawn and I added diamond stickles dots to the clouds . 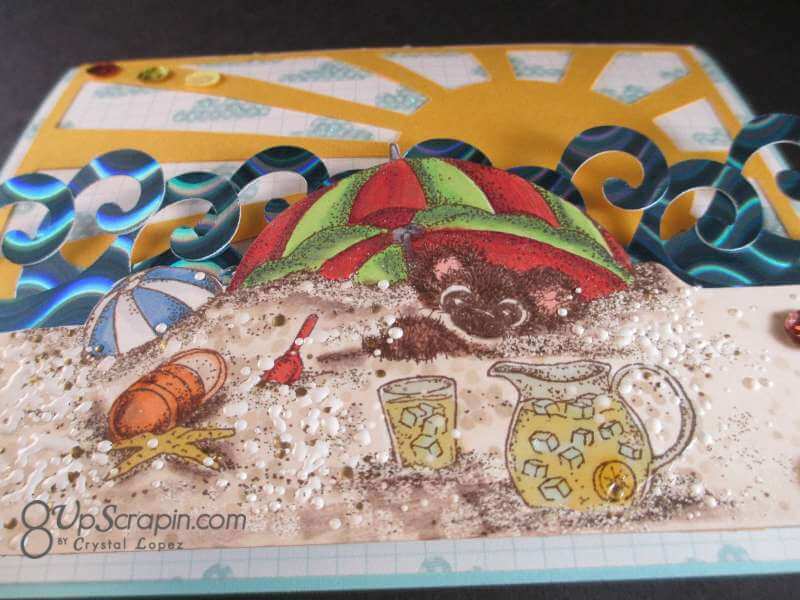 I used Fran’tage shabby white embossing enamel to add texture to my sand , the lemonade picture and glass have glossy accents to make the pop , I also added some sequins from my stash. My umbrella has Wink of Stella glitter pen added to it . 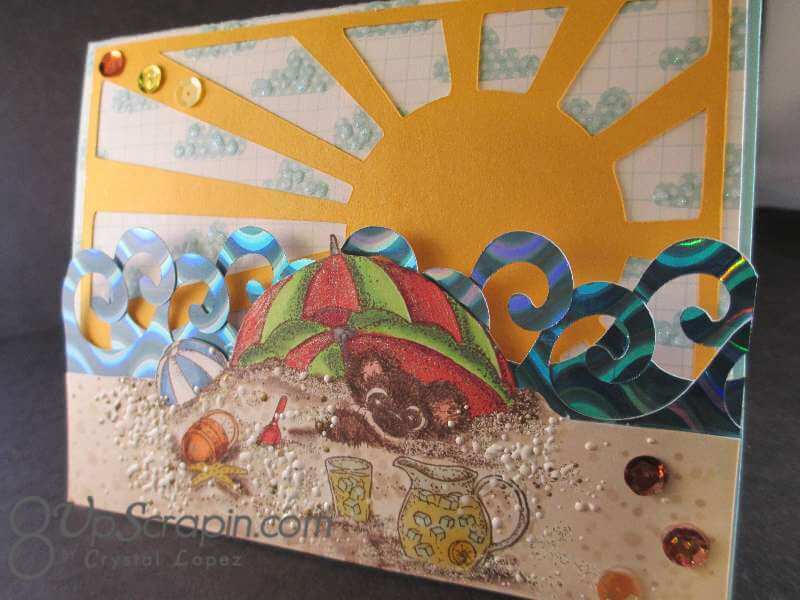 I hope you like my creation using the Shy Bear from plate 6 . Do you give instructions on your copic techniques. 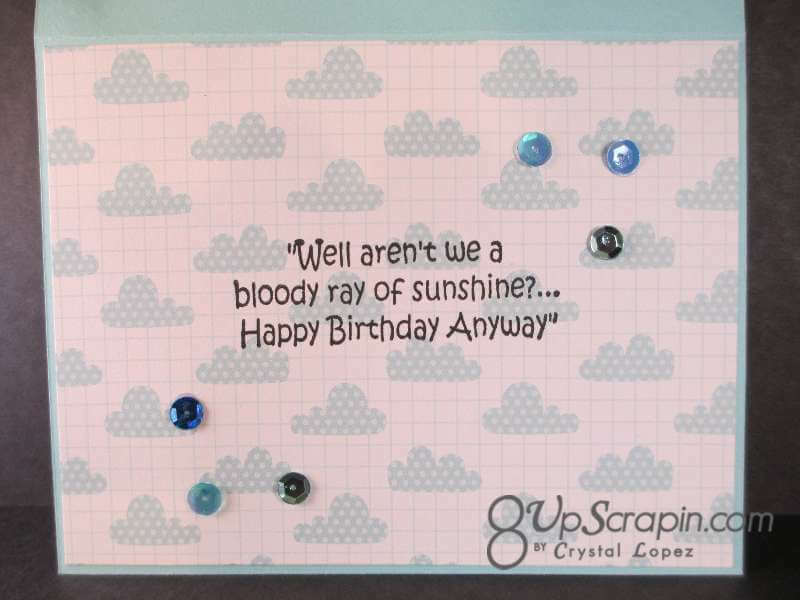 I noticed you use a lot of copics on your cards. 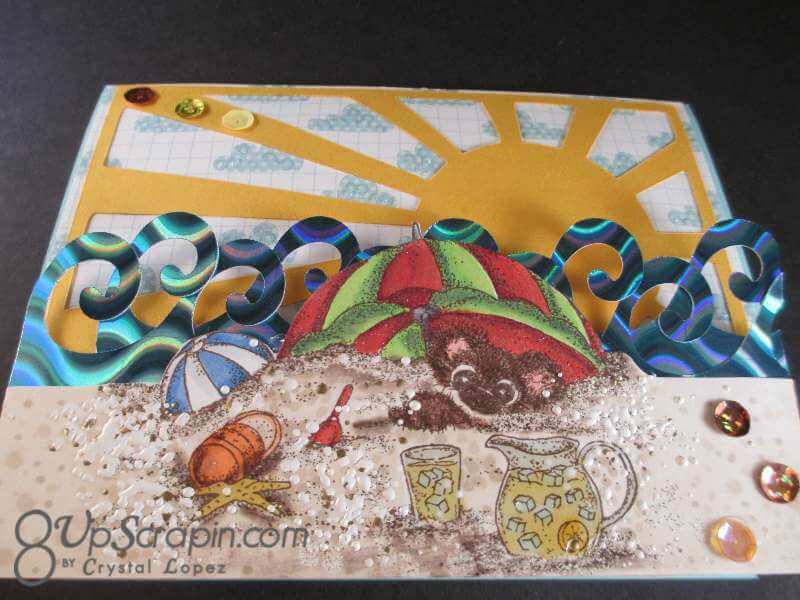 Or do you have a site to refer on copic techniques.